Musings from our life in an Airstream as homeschoolers, mold-avoiders & on the road to healing chronic disease & becoming debt free. It finally happened! We’ve been trying for years, praying & hoping, wishing & working and it FINALLY happened. (No, not another baby… why do people always think that 🙂 ) We left Colorado!! For about seven years now we’ve talked and prayed about it. My husband has applied for hundreds of jobs and dozens of… Continue reading Treehouse Daily’s BIG News! A sneak peak at what we have in our Airstream Argosy turned Tiny House. Take a peek at our natural, organic, safe, fair trade home! This post contains affiliate links. If you make a purchase through one of these links I will receive compensation (at no additional cost to you). This helps me to continue my blogging efforts and I greatly appreciate your support of my blog on this way. We have officially completed our first month of homeschooling. This… Continue reading Homeschooling Month 1- Complete! 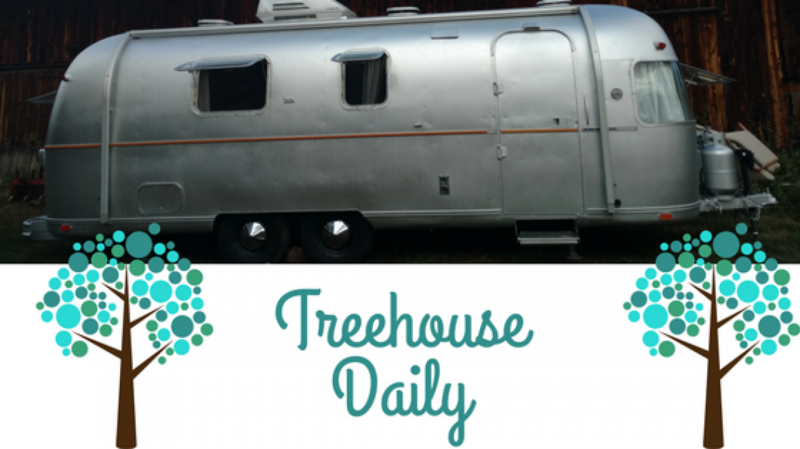 We’ve got the first 10 days of Airstream life under our belts. For the most part, we love it. We got off to a ROUGH start, especially for a family trying to avoid water damage and mold. We’ve had leaks, incredible amounts of rain and water issues. Colorado is a dry climate. It might… Continue reading Water, Water Everywhere! I wrote this the other night on our first night in the Airstream. We made it. Home. Here's our moving by the numbers: We've been married 11 years9- the number of places we've lived for at least 6 months 479- the number of days since we moved out of our Longmont apartment… Continue reading We Made It! !